If you have been reading each entry (?!) 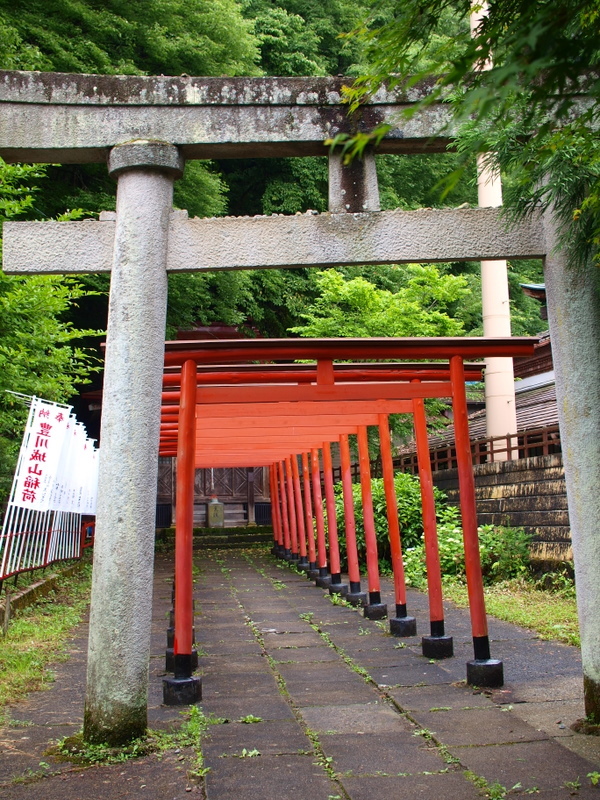 you are probably getting a bit tired of all the talk of temples and shrines and monuments. Well, I am probably hitting my limit too. But that is OK, as today is my last day before I head to the megalopolis that is Tokyo. It was pretty much a chill out and wander day today. As I said yesterday, Takayama is a sleepy mountain-side town, built for wandering the historic streets and mountain paths. So that is what I decided to do. First was visiting the morning markets where locals sell mainly fruit and veg, but also some handicrafts. This was kinda cool, but nothing really jumped out at me saying “I’m awesome! Buy me for someone!”. So off it was into the woods. 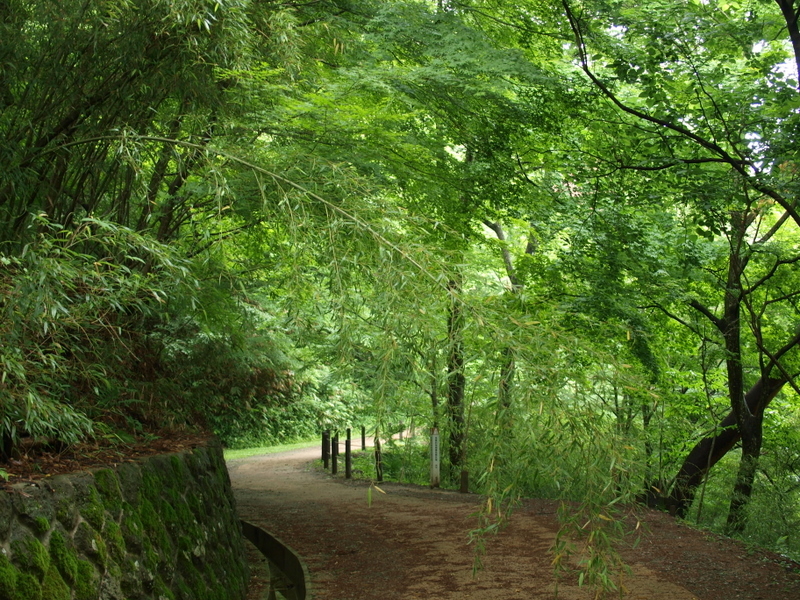 There is quite a nice guided walk along the east and south of Takayama. 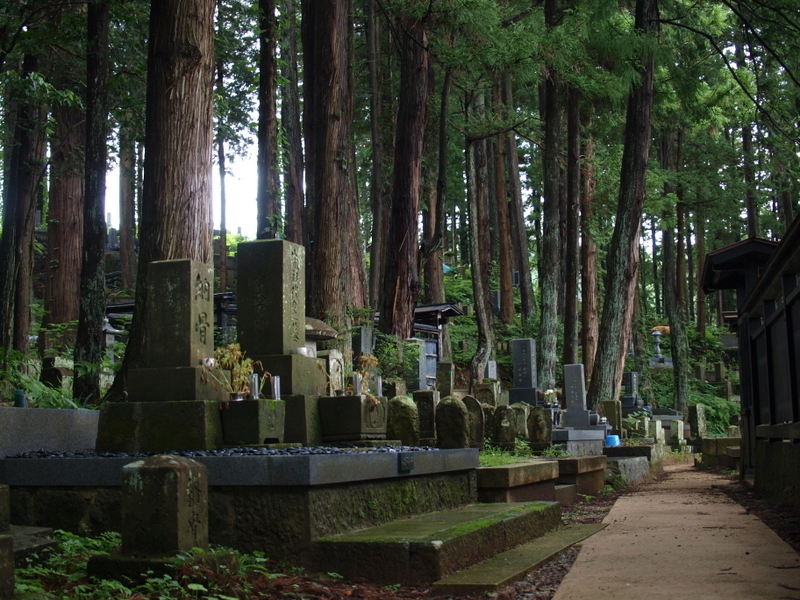 The east side takes in some temples, shrines and graveyards at the foot of the mountains. As I indicated before, while the stroll was actually quite cool, I felt as if I had run the gamut of religious places, so I was probably doing more strolling than looking. Although that said, this temple stood out, I think because it actually looked like it might have been built in the last 100 years. When I hit the south, I ended up wandering aimlessly (a nice way to say “kinda lost”) in some woods. I knew there were some castle ruins, shrines, torii, and parks in there, but things didn’t really look like they did on my map. Meh, it didn’t matter. I ended up finding something that looked familiar and before I knew it I was back in old town. Well, if I’m here, I thought, why not try some more sake? So that I did. 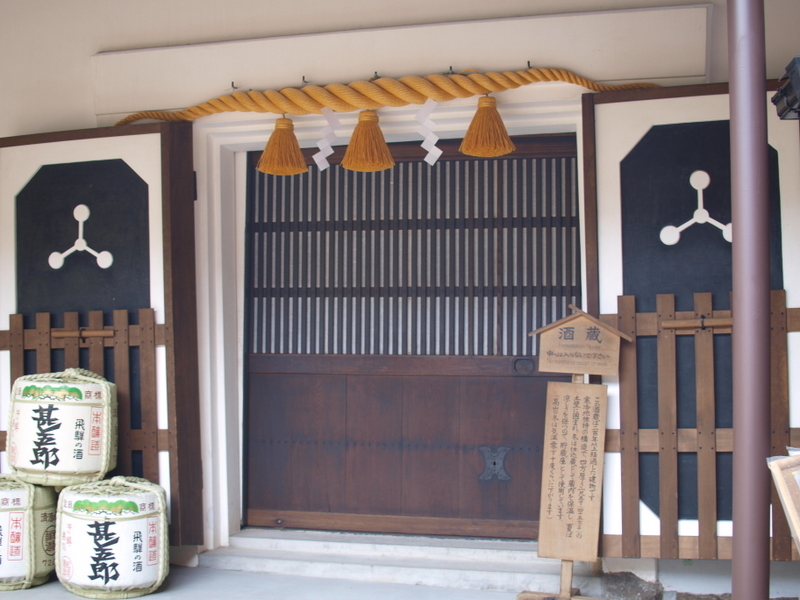 This seemed to be an entrance to a fermenting house. It didn’t seem you could really get inside any breweries, but samples were fine with me. 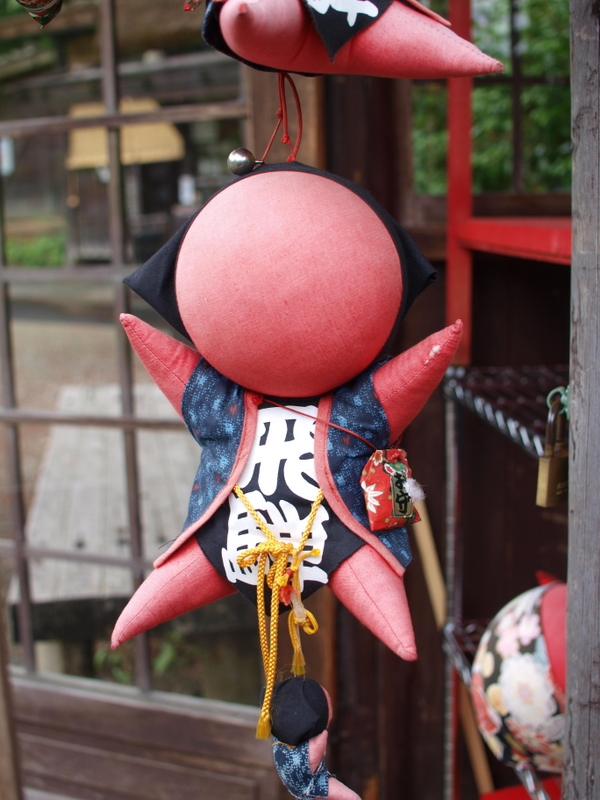 It is worth pointing out another seemingly traditional Takayama thing to go along with the sake and woodcrafts. These faceless monkeys called Sarubobo are EVERYWHERE. You can choose a colour to represent good fortune for different things. Red is the norm but other colours bring other luck. There is also a Hello Kitty variant, but I am not sure what it brings except cuteness really. 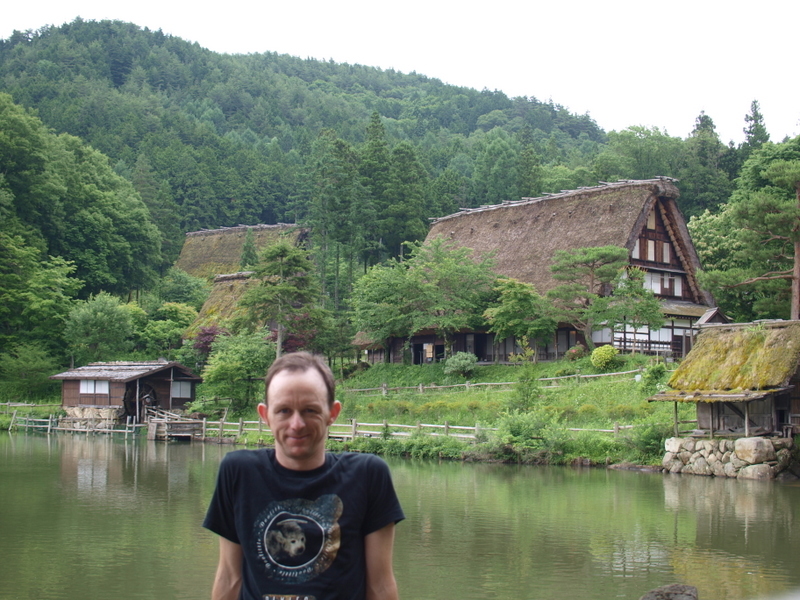 The only other thing on my agenda if I had time was a visit to a nearby historical village called the Hida Folk village. This is a collection of restored houses from a century or two ago, but together to highlight how things were back in the 1800’s. It was pretty nice for a wander. Although it was done for preservation of cultural artifacts, it also acts as a bit of a touristy destination as well. But like this morning, it was good for a wander for a couple of hours (I was aiming to soak up as much woods before hitting the city again). So as I type this I am just chilling out in my hostel room. I have a nice big room to myself, which is nice for emptying the backpack out and realising I packed twice as much stuff as I needed (when I swore to myself I would pack hardly anything). 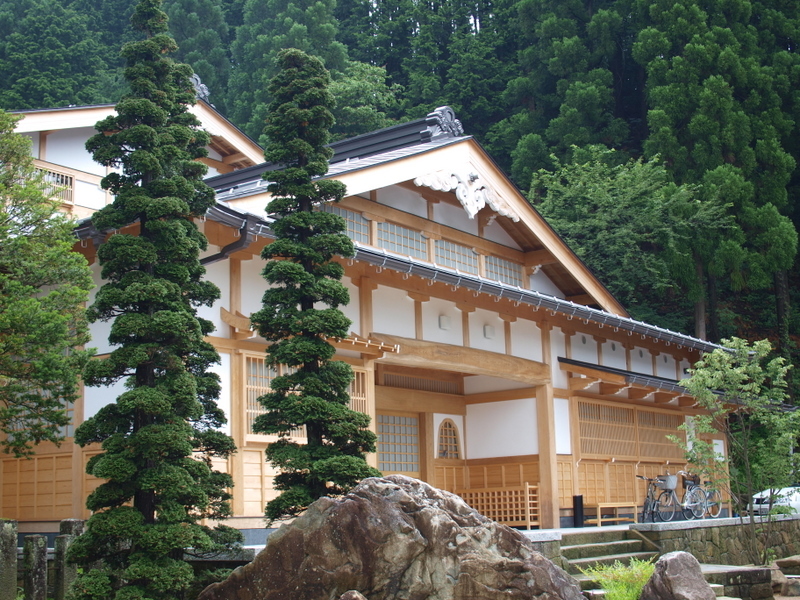 It seems Takayama is not that popular with the tourists right about now, because this kinda large hostel is kinda empty. I have only bumped into a half dozen others, none of who seem up for that much (not that there is much to get up to after 6pm anyway). That is cool though as I imagine from tomorrow night in Tokyo that my pattern might move to late morning starts and late night finishes. 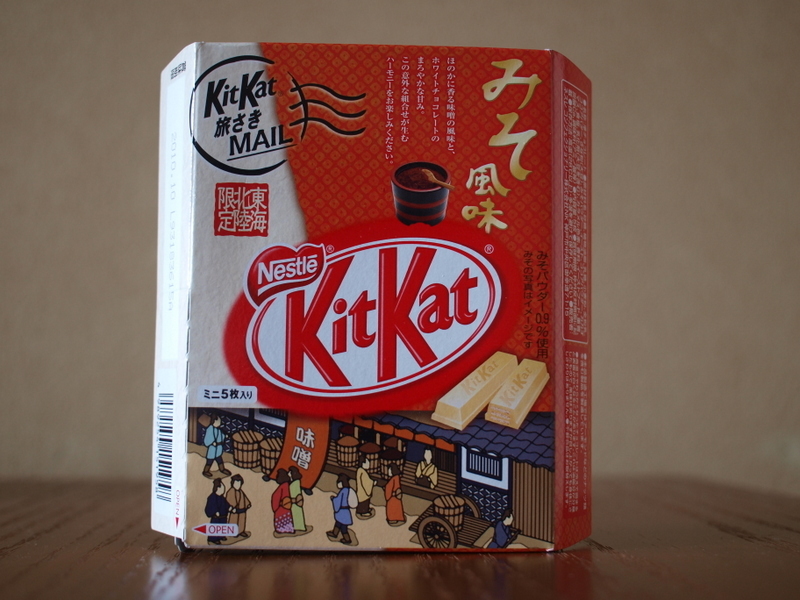 Behold another Kit Kat mail pack, what I believe is Soybean powder or something like that. There is only 5 Kit Kat minis in these packs, but don’t worry fans… I am only eating one and bring the other 4 from the pack home. Over half way through my trip now. 8 nights in Tokyo left. Bring it on. Greetings from Sin City, where the Lions club is marching (protesting?) through the CBD. No sign of riot sqauds sadly. 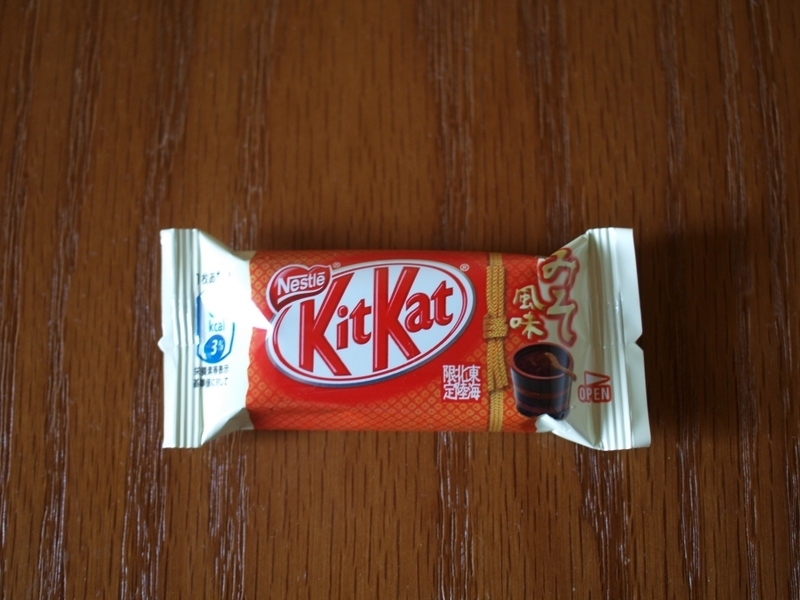 If only training was as exciting as visting temples and chowing down on Kit Kats! Hope its a good night in Japan tonight!!!! Bring on the soccer!!! GO JAPAN. There is some guy squatting at your house. And it looks like he went a bit crazy and tore the plaster down in your garage. He says he is your dad, and that the repair people did the garage destruction… but I am not convinced. Postie ignored your redirect and delivered two packaged of what I can only imagine is some vinyl. It may be those “Best of ABBA” and debut from “Nana Mouskouri” on record you have been expecting. Enjoy Toyko. I am wanting to see another self portrait shot; of you in a Japanese capsule hotel and sitting amongst a shelf full of Godzilla toys. 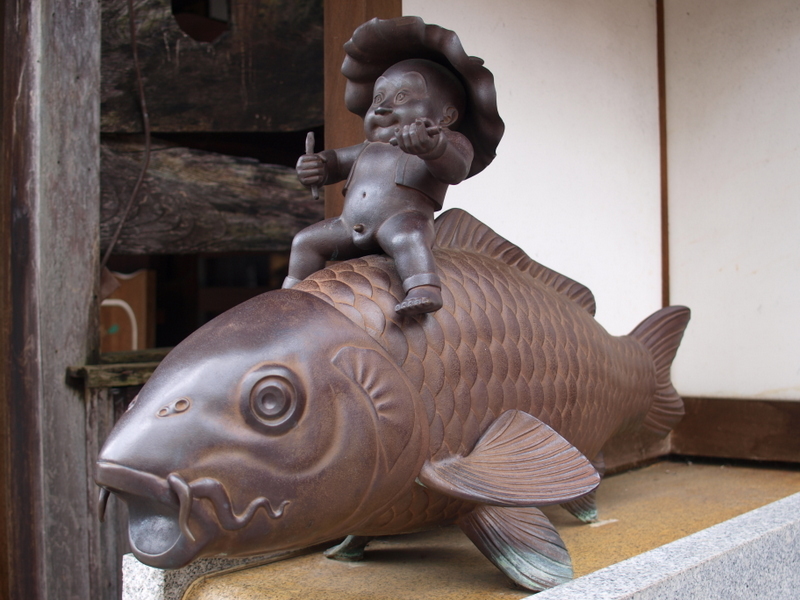 I am hoping that everything Jonathan Ross taught me about Toyko life is true. Long live the Otaku.